Justice secretary, David Gauke, has today announced that the government will overhaul current divorce laws to introduce ‘no-fault’ divorce. The new system of divorce, which will be introduced as soon as “parliamentary time allows”, according to Mr Gauke, will end the current, 50-year old, laws which necessitate one partner blaming the other to initiate the divorce proceedings immediately. Mr Gauke said that irretrievable breakdown of the relationship will remain the sole ground for divorce. However, couples will no longer have to apportion “blame” to prove that there has been unreasonable behaviour or prove that they have lived apart for two or five years. Under the proposals, it will also be possible for a couple to make a joint application for divorce, alongside the existing option for one person to apply. 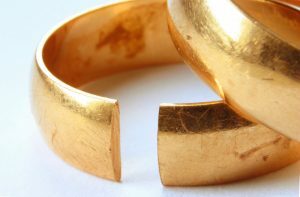 The proposed new system will retain the decree nisi/decree absolute process and there will be a six-month minimum period between the lodging of a divorce petition and the divorce becoming final (decree absolute). At present, a husband or wife can contest a divorce, as in the case of the Owens v Owens, where Mrs Owens was denied a divorce. The new rules in respect of no fault divorce would remove the ability to contest. Today’s announcement followed a 12-week public consultation which resulted in widespread support for no-fault divorce. The consultation itself followed the Supreme Court’s rejection of Tini Owens’ appeal for a divorce, which led one of the judges, Baroness Hale, to say that she found the case ‘troubling’. She has repeatedly called for the laws to be overhauled. The same changes will be made to dissolution of civil partnerships. Author: Bradie Pell, partner and head of family team.